Despite every celebrity going, whether on the A to the Z list having launched their own fragrances I didn't expect to see one from Kelly Brook. I find her synonymous with her clothing ranges as I can relate to her figure as being a girl 'with curves'. All that aside Kelly Brook has indeed brought us a fragrance, Kelly Brook Audition* which I was able to try. 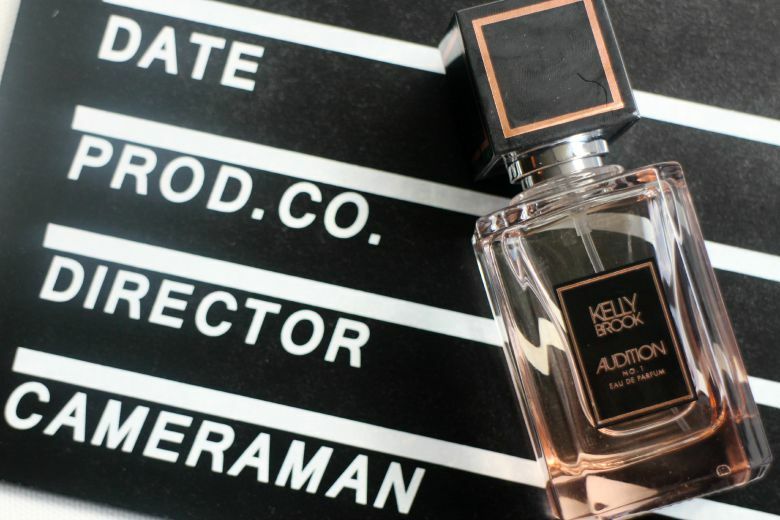 Kelly wanted to create a scent that would be glamorous, honest and confident; just like one should be on a first ‘audition', hence the name. Fragrance notes have been chosen to leave a lasting impression and evoke confidence in the wearer. Whilst we may not have many auditions to attend ourselves I'm sure we could all do with a little bit of confidence for first dates and job interviews. Despite trying it a few times this fragrance was not for me. There was no reason behind it, nor was it unpleasant or anything I could pinpoint. Take a peek at the notes included to see if you can see any you wouldn't enjoy. Juicy Bergamot, Melon and Dew Fruit are tantalised by Wisteria and Water Apple. Iris combined with Heliotropine work together with a Woody and Patchouli harmony. Not wanting to waste the fragrance and seek a second opinion I made a cheeky decision. My BFF's birthday was approaching and she has an irrational dislike of Kelly Brook so I wrapped up the perfume as a 'gift'. After our initial laughter my friend gave the perfume a try and turned to me and said 'I really like it' proof if ever if you like something it doesn't matter what it's origins may be. What I was sad to let go was the gorgeous bottle. I could've happily had this sitting on my dressing table for aesthetic reasons and been satisfied with that. Kelly Brook always reminds me of Hollywood Starlets from the 50s and that too was the inspiration for the bottles design. 1950s glamour meats Art Deco. A vintage style glass bottle with black and gold details it's rather weighty and matches any higher end brands designs. Did you know that Kelly Brook had her own fragrance?